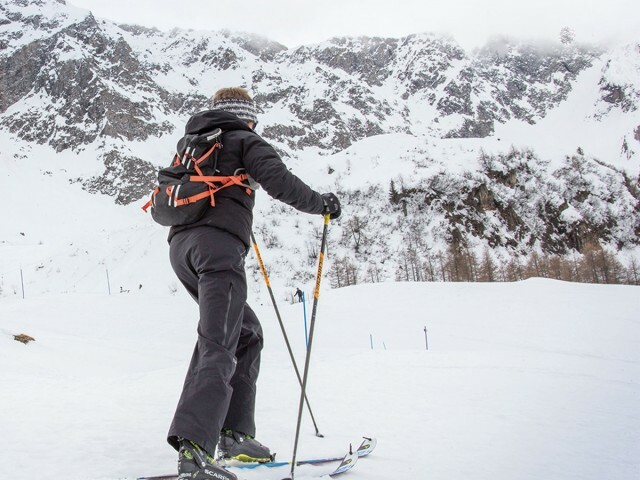 Fans of this discipline, much loved and practiced in the region, will be able to use every day, during the opening hours of the ski lifts, of the Nante-Pesciüm route, demarcated as a winter footpath, for a total height difference of 300 meters. While in the evening, from 17:00 to 21:00 from Monday to Thursday, they can climb, starting from the station of the Airolo-Pesciüm cable car and for a vertical drop of 1000 m, along the runway no.1 up to the Ravina area and then enter on track n.2, finally reaching Cassinello. 2. When in doubt, you must immediately know when to turn back. 8. When you descend, go back down the same way you went up. The simplest excursion is the one to Capanna Corno Gries: the tour takes you to the top of the spectacular Corno Gries which dominates the valley with its dome and extended glacier. The tour is easy and gives you a great sense of satisfaction. 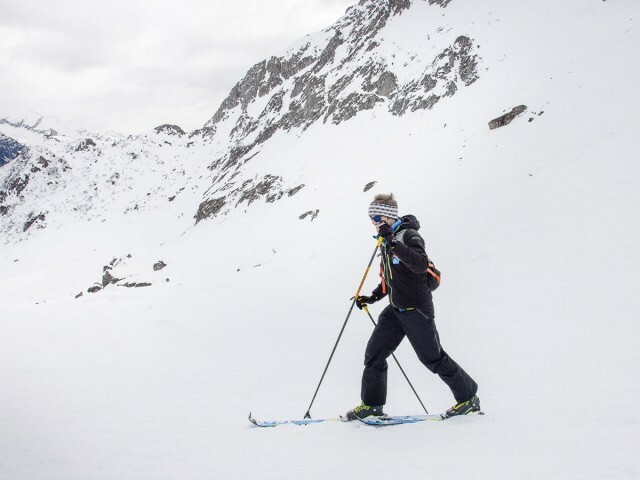 The route is suitable for hikers with snowshoes, who can easily reach Lake Gries, as well as ski-mountaineers who want to try a climb on a glacier. Another interesting excursion is the one on Passo San Giacomo: the "normal route" starts from All'Acqua and after crossing a bridge over the Ticino river it rises and follows the summer path up to Alpe di Val d'Olgia; so you basically follow the high voltage line until you get to an altitude of 2,200 m in the region of All'Uomo. There is a great opening with a magnificent view from here; in the west you can see the Bernese Alps, while in the south you can see the military buildings and the little church, and a little further on, you'll have a full view of the San Giacomo Pass, which is marked by a wooden cross. The route is easy from here on; simply follow the high voltage line, passing between the church and the border guard building, and, continuing south, you'll reach the col. The climb to the Chüebodenhorn is a little more challenging: a highly rewarding classic route, which covers open slopes with a wide panoramic view of the fascinating Val Bedretto. To fully enjoy and appreciate the sheer beauty of the valley, the route can be split into two days by stopping at Rifugio Piansecco. 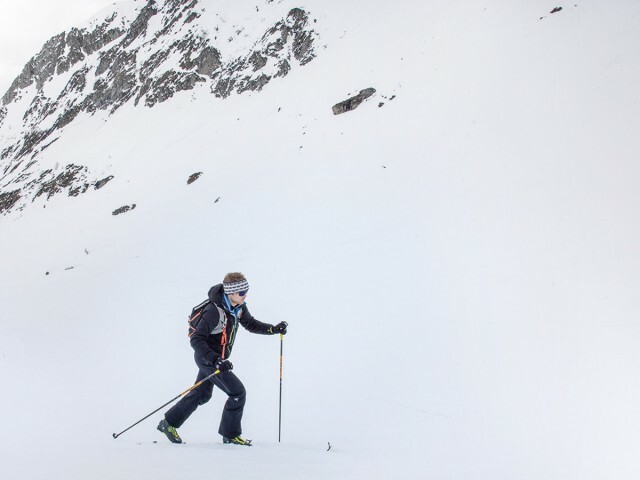 With good snow conditions, you can attempt this climb right from the beginning of the season. 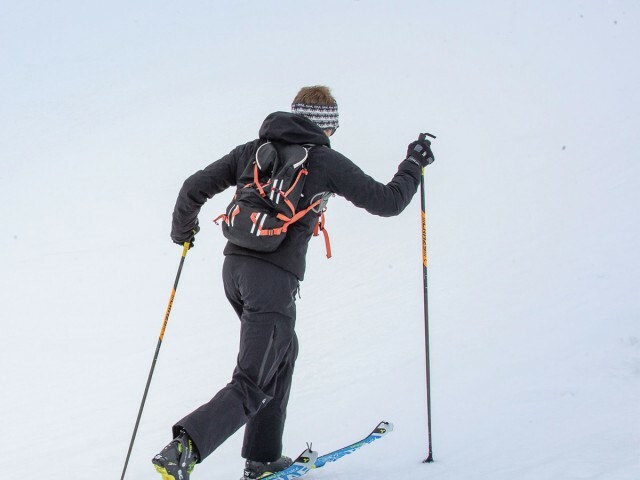 Some sections, both uphill and downhill, require a certain level of ski mountaineering experience. 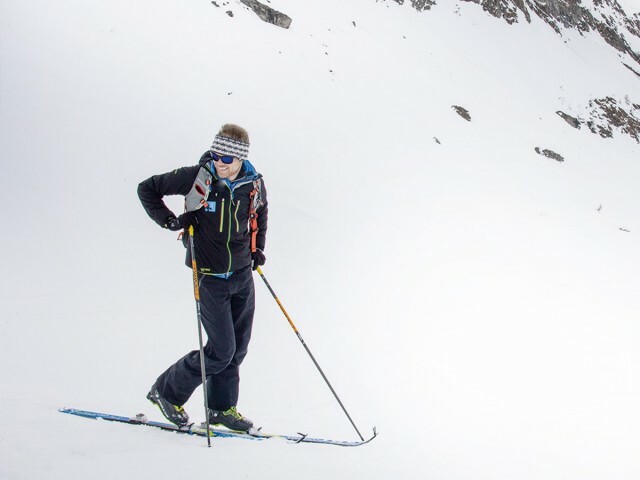 Under certain snow conditions, a rope, an ice axe and crampons may be needed to reach the top of the Poncione. 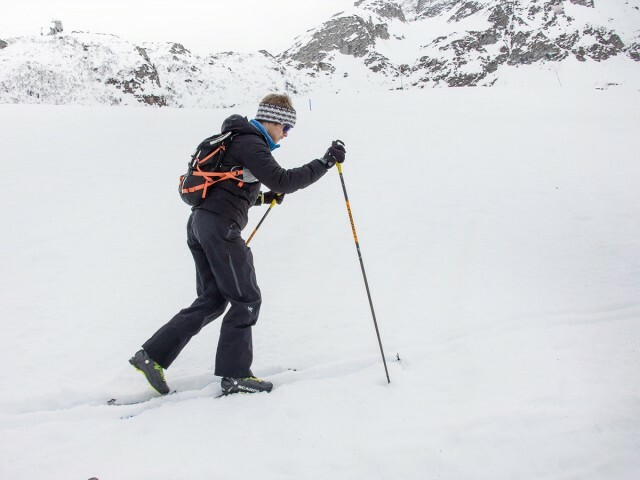 Due to the amount of steep slopes, you should only attempt the tour if the snow covering is stable and safe.